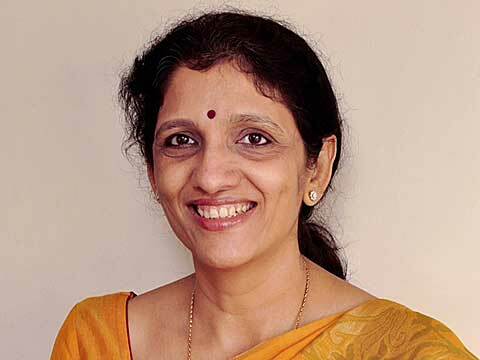 Wellness India talks to Meena Ganesh, Co-founder and CEO of Portea Medical, India’s fastest growing in-home medical care provider with a staff of 1700 employees, do 30,000 patient visits in a month, operating in 24 cities. Portea Medical (www.portea.com) is India’s home healthcare pioneer, which offers home visits from doctors, nurses, nursing attendants and physiotherapists. Its comprehensive services encompass geriatric care, post-operative care, palliative care and physiotherapy. In addition, Portea also provides collection of lab samples, delivery of medicines to patients’ homes and medical equipment on hire, bringing the entire gamut of healthcare services to the doorstep of a patient. Portea Medical is a dedicated unit providing home healthcare facility. What made you conceptualise this unique way of serving people? Our involvement with Portea Medical resulted from a deeply personal experience. A close family member was diagnosed with cancer and we saw first-hand, the difficulties in taking care of a terminally-ill person. We realised the challenges involved and the dearth of quality medical care at home in India. This was also the time when exited from our previous venture TutorVista, and were exploring various opportunities. We found that the lack of affordable and quality home healthcare in India was a big pain-point and provided a large ‘whitespace’ opportunity that we felt we could address. Over several rounds of discussions over the contours of what we could offer were finalised, we found that we could make a genuine address and something that felt we could address. Until even a year ago, there was lack of organised, branded, high quality reliable home health care provider. This is the area we are addressing as the largest player in this space. We believe that Home Healthcare is an industry that Portea has built from the ground up in India based on the US model where the concept has been around for more than 120 years. Currently, Bangalore and the Delhi/NCR region followed by the other metros, account for the bulk of Portea’s patient base. We believe in bringing to customers’ homes affordable medical services of the highest quality. Our vision is to ensure that our services are provided with great compassion and empathy so that in a moment of need, patients and their families can rest assured that care is being given by the best professionals, who use their skills to assist those in need. How much seed capital has been invested while establishing this project? What is the ROI, may quote in percentage? In late 2013, Portea secured Rs48 crores in funding from venture capital firms, Accel Partners and Ventureast - the largest ever Series A VC investment in a home healthcare company in India. We have also received a strategic investment from Qualcomm Ventures, the VC arm of Qualcomm – the world’s leading wireless company. We aim to raise another round of funding of upto $50 million in this fiscal to fund expansion further. What are the opportunities and challenges Home Healthcare service providers are facing at the moment? The concept is completely new in India. Systems and processes for home healthcare need to be built ground-up. Building awareness of the concept was the key challenge since a generation of Indians have been used to visiting clinics and hospitals for their health needs. Human resource is critical to our services as we cater to people at large. There is a lot of emotion, involvement and empathy needed and expected. Home healthcare is a very people intensive and execution-oriented business. Ensuring consistent quality and a high level of oversight across 24 cities in India is challenge. Portea has addressed this by using a proprietary app and tech platform that displays our SOPs for each procedure, allows for real time clinician monitoring and supervision, and collects all the relevant health-related data to ensure that we have a complete record on the patient’s health. Building a consumer brand is tough in any field; this is even more so in a sector like healthcare which is a very personal and emotive issue, doing this at-scale, while maintaining quality and affordable price is a considerable challenge. What initiative do you take to spread awareness and educate people about the benefits of home healthcare system? It often happens that once people use Portea’s services, they are convinced about the overall effectiveness and substantial cost benefits of home healthcare delivered by a professional provider. Still, we have undertaken both ATL and BTL campaigns across the length and breadth of the country to spread awareness about the concept including branding. At Portea, we aim to connect with consumers in new and interesting ways by bringing ‘home’ healthcare services. We want to be present where our consumer is, so we look at a number of innovative options in our media mix. Outdoor advertising along with print, online and social media ensures that our campaigns are truly 360 degree and help us build a strong connect with our consumers. What is your long term vision with Portea Medical? Which is your next expansion market across India? Currently, Portea is building India’s first consumer healthcare brand outside of Tertiary care. I would like Portea to become the best partner to families in India on their healthcare journey. We are already present in 24 cities and we’d like to have a 50 city network (all cities with a population of over 1 million in India) in the next two years. I assume we will have more than doubled our current staff strength and be a 5000-employee organization by 2017. Do you have or planning for merger/acquisition with international healthcare companies? Please share elaborate details. Portea is already India’s largest home medical care services companies with 1,700 staff across 24 locations, handling 35,000 patient visits a month. Having said that, like in the US and UK, in India too will emerge in the category with four or five players who will be the leaders in the next 10 years. Portea already has a head start and momentum to be among the leaders. Portea’s approach to the market has been to craft offerings that are both comprehensive i.e., enveloping the entire spectrum set of services that comprise home healthcare, and in-depth or vertical specific i.e., geared to addressing specific diseases or treatment procedures such as diabetes, stroke, TKR (Total Knee Replacement), Kanga & Roo (New Mother & Baby Care) etc. We have strong partnerships with all leading hospitals including Columbia Asia, Fortis, Manipal Hospitals,’ Cumbala Hill Heart Institute, Basavatarakam Cancer Research Institute & Hospital etc. In addition to these, we are building relationships with doctors, chemists, insurance companies and other stakeholders within the healthcare ecosystem. What suggestions do you have for the small and medium upcoming home healthcare companies or aspiring entrepreneurs in the category? Healthcare entrepreneurship is approaching a tipping point in India and is about to take off. Expect to see a flurry of entrepreneurship activity, new healthcare-focused funds, and exits in the years to come. There are broadly two reasons for this: There has been a fundamental shift in the state of the start-up ecosystem in India; and the healthcare industry’s maturation has coincided with this change in the funding climate. The start-up/VC ecosystem in India has definitely evolved over the past couple of years and I expect the rate of change only to accelerate. As far as healthcare in India is concerned, to date, the vast majority of entrepreneurial activity in the space has been focused on building tertiary care hospitals. This is typical of the ‘first stage’ of a health system’s development, because tertiary care issues tend to be the most acute and more ‘transactional’ to fix (performing a procedure versus say monitoring a diabetes patient). This type of entrepreneurship is poorly suited for venture capital activity because it is asset heavy and linear as more beds must be added to generate more revenue, execution focused, and involves long lead times. Entrepreneurs that have been successful in the tertiary care setting have predominately been business groups, star doctors or groups of doctors that have used more traditional financing means like through family, friends or bank financing, during the initial stage of the business. This segment of the healthcare industry is largely ‘mature’ from a funding perspective. How Convincing is Your Menu..